Trump's immigration policy experts estimate increased immigration enforcement could rapidly double the number of people in detention to 80,000 people per day. Since Donald Trump took office and began a crackdown on undocumented immigrants, human rights advocates say Immigration and Customs Enforcement (ICE) has frequently refused to comply with a little-known policy that allows the public to monitor conditions in detention centers. “It feels like a pattern,” Christina Fialho, co-executive director of Community Initiatives for Visiting Immigrants in Confinement (CIVIC), told Rewire during a phone interview about how ICE rejected six of the group’s requests for access in the past two months. Fialho’s organization helps a national network of volunteers follow “stakeholder procedures” established in 2011 to provide independent oversight of a sprawling system of more than 200 private detention centers and county jails, which currently hold a record 41,000 immigrants in what are supposed to be civil and non-punitive conditions. Separate from ICE’s standards for meetings with lawyers and family members in the visitation area, the agency’s so-called “Access Directive” outlines how individuals or groups can tour the rest of a facility if they send a request at least two weeks in advance to the ICE field officer who oversees it, along with several proposed dates. But last month, the D.C. Detention Visitation Network received an unexpected rejection when it asked to tour and visit the Farmville Detention Center in Virginia, run by Immigration Centers of America. The group’s ultimate goal, Hustings explained, was to set up a visitation program similar to those it has run for several years at two jails in Maryland. Despite their established track record, ICE had other plans. The group showed Rewire a response from ICE’s Acting Director, Thomas Homan, that said the agency “appreciates the work of CIVIC and other community-based visitation programs” and has a “strong desire” to continue to facilitate their access to immigration detention facilities. ICE’s acting press secretary, Jennifer D. Elzea, declined further comment to Rewire because of the pending CRCL complaint. Responding to the recent spate of denials, Human Rights Watch and the American Civil Liberties Union joined CIVIC and more than 400 other groups and individuals in writing a letter to ICE this month urging it to ensure public access and oversight of immigrant detention. 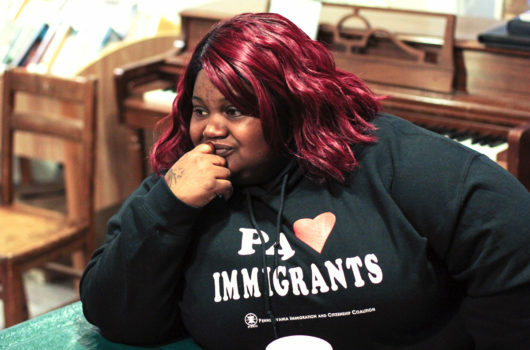 Among the signatories were many Unitarian Universalist churches who started detention visitation programs around the country after congregants voted to focus on “Immigration as a Moral Issue” from 2010-2014. Stakeholder tours, coupled with visitation programs and calls to CIVIC’s hotline for detainees—which have doubled to 14,000 per month since January, Fialho said—often help volunteers decide which facilities most need independent oversight. This is what happened at the Theo Lacy Facility in Orange, California, a maximum-security jail outside of Los Angeles holding about 500 immigrants, including many who were arrested by ICE in recent raids. After callers complained of spoiled food and other abusive treatment, CIVIC helped document multiple incidents of physical assault by guards, denied medical care, and excessive use of solitary confinement. CIVIC alerted the Homeland Security’s Office of Inspector General (OIG), prompting officials to conduct an unannounced inspection last November. The findings are the basis of a damning OIG report issued this month. Still, ICE says its Los Angeles Field Office hasn’t reset a date for a new stakeholder tour and visit after the Orange County Sheriff’s Department denied the last request. In December, ICE’s Phoenix Field Office announced it would allow just one tour a month at each of its four facilities in Arizona, which have a combined capacity of more than 6,000. All but one are run by the private prison corporation CoreCivic, formerly known as Corrections Corporation of America. Fifteen people have died at the company’s Eloy Detention Center since 2003. This comes as Trump’s Attorney General Jeff Sessions instructed the Federal Bureau of Prisons in February to once again contract with private prison corporations that contributed large sums to Trump’s 2016 campaign and inauguration, despite the DOJ’s findings that they had failed to maintain adequate levels of safety and security for detainees. Trump’s immigration policy experts estimate increased immigration enforcement could rapidly double the number of people in detention to 80,000 people per day. Another private prison corporation, GEO Group, plans to open a new 780-bed facility in Georgia, and ICE recently signed a contract with CoreCivic to use as a detention center a former New Mexico prison that lost its federal contract after The Nation exposed how inmates there suffered from severe medical neglect. In light of this rapid expansion amid repeated efforts to scale back independent oversight of detention operators with poor track records, CIVIC issued a letter this month calling on ICE to honor nine upcoming tours scheduled at the agency’s facilities. Included among them is Prairieland Detention Center near Dallas, Texas, run by Emerald Correctional Management. 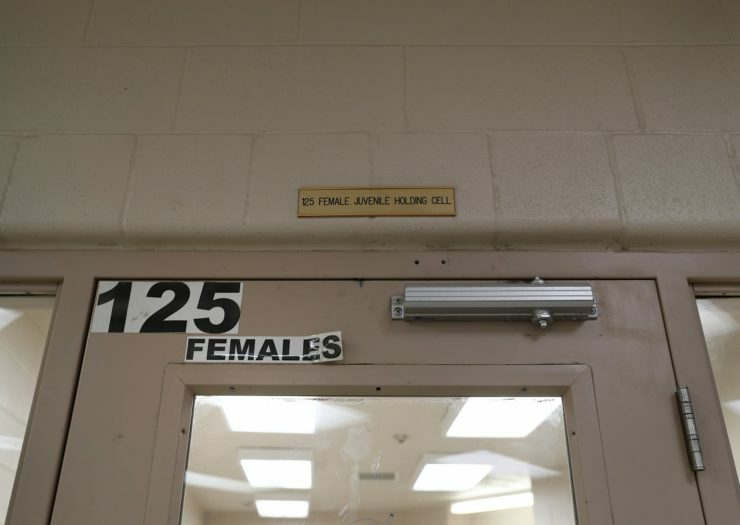 It has a new unit set aside for transgender immigrants that was established after volunteer visitors helped document problems faced by LGBTQ detainees in the center’s general population, including sexual assault, degrading strip-searches, and long-term solitary confinement.